Well, the world's come to an end again. Damnit, Todd! I told you to stop fiddling around with that gear that the Tinker Mages made. You're not qualified to handle it! Well, I guess we'll have to form into tribes, each of which follows one of the Nine Gods, as they look to influence the new path that civilization will take in the world. Of course, each god has their own thoughts on the matter. Only one will be successful, or will humanity rebel against the gods and not let any of them rule? That's what you'll have to figure out in Children of the Apocalypse, a post-apocalyptic RPG setting for Savage Worlds that's up on Kickstarter now. 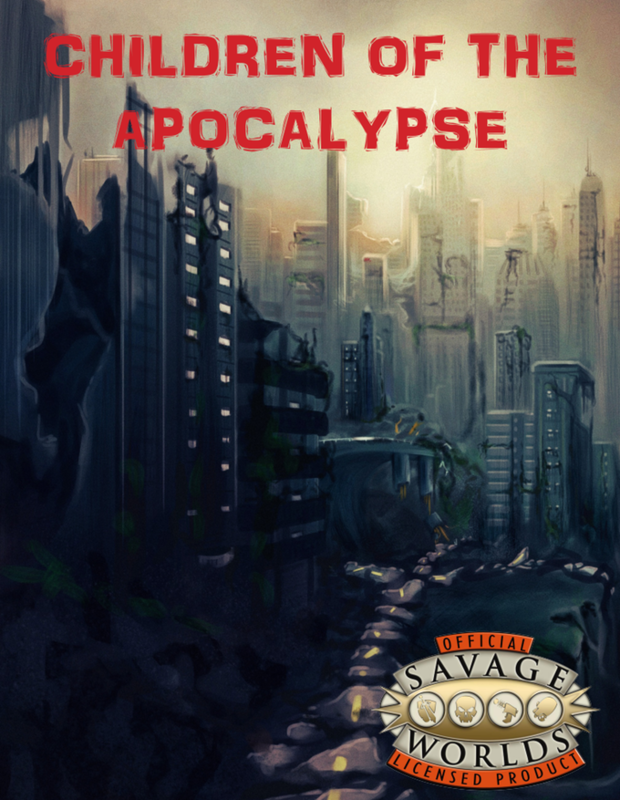 Children of the Apocalypse requires the Savage Worlds core book and the Fantasy Companion.